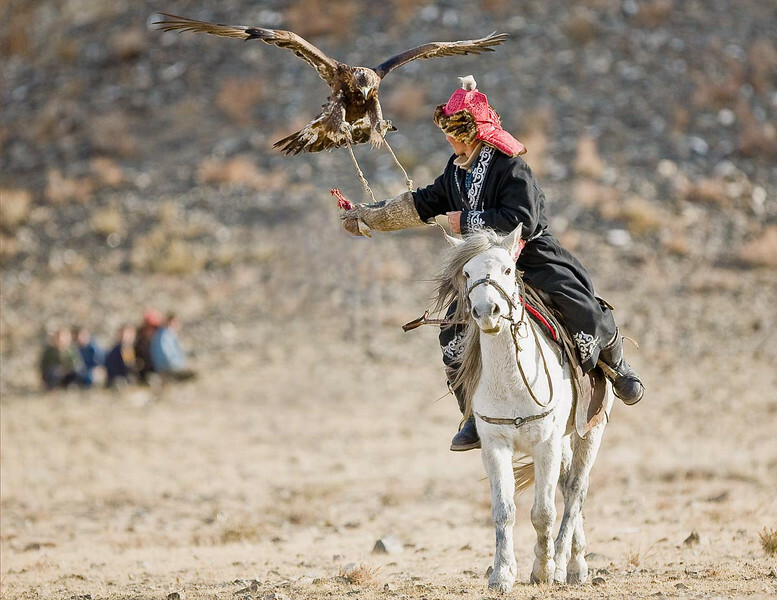 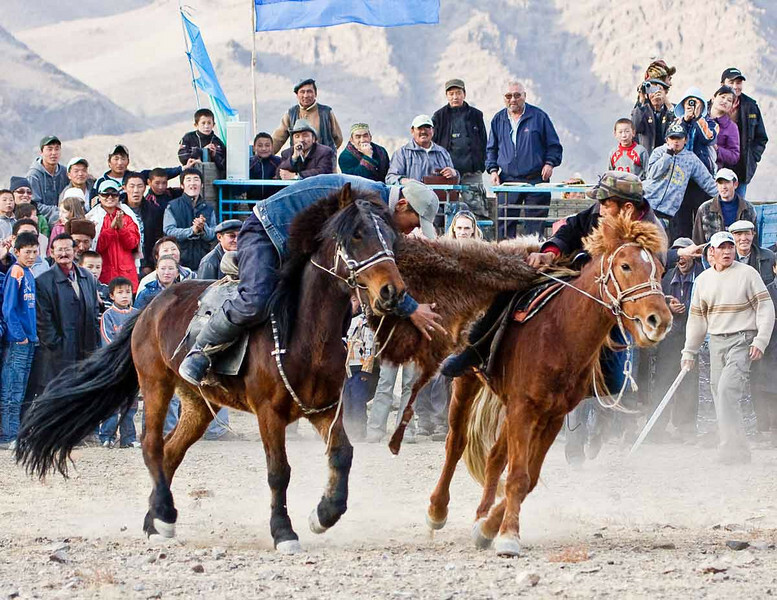 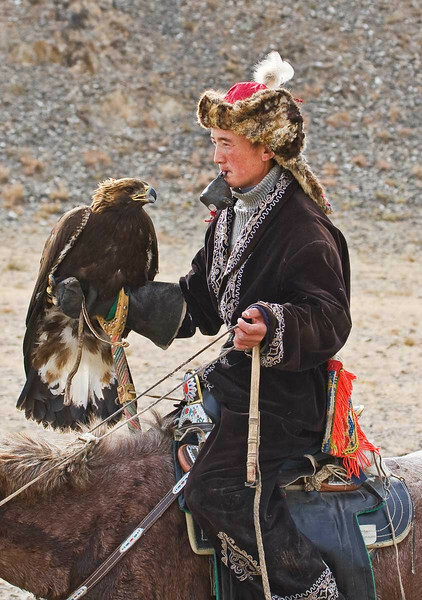 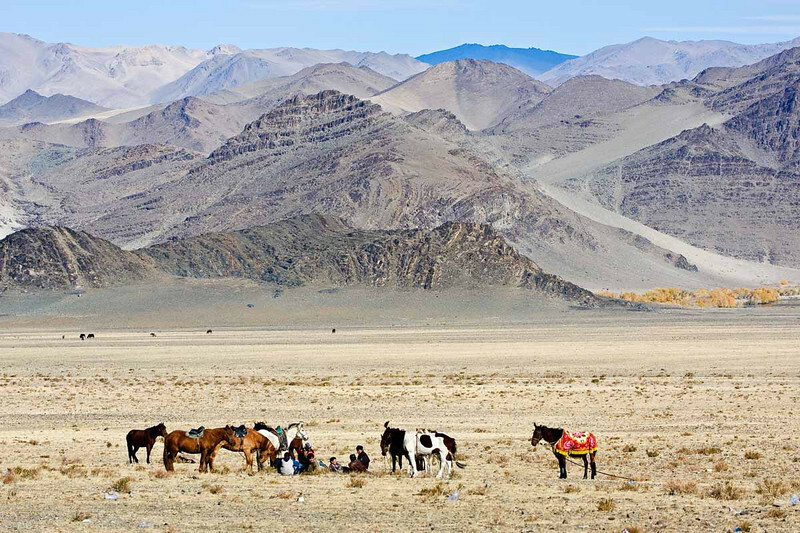 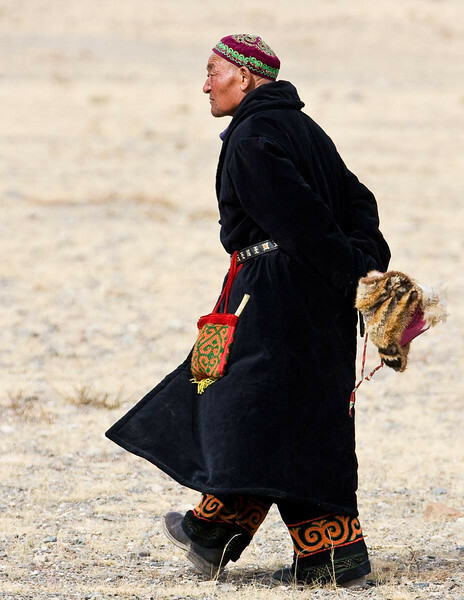 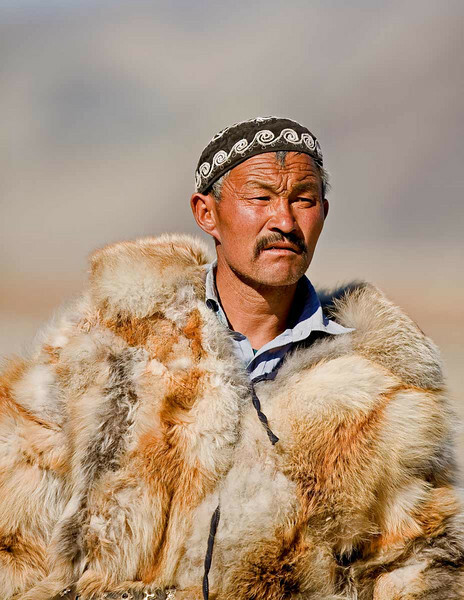 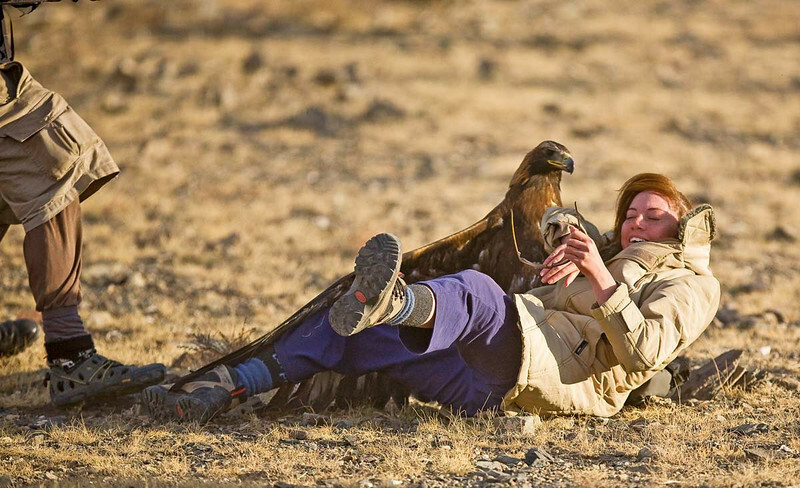 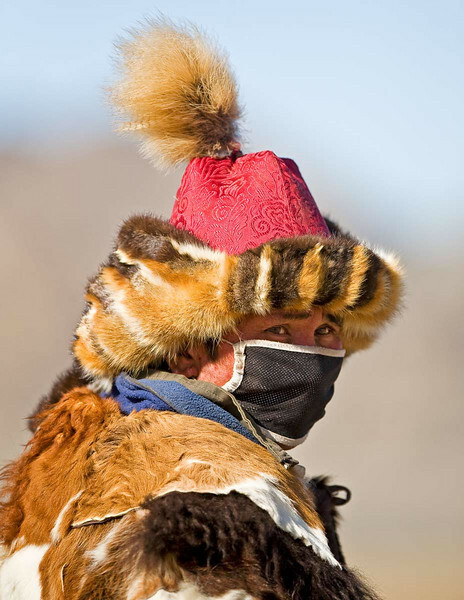 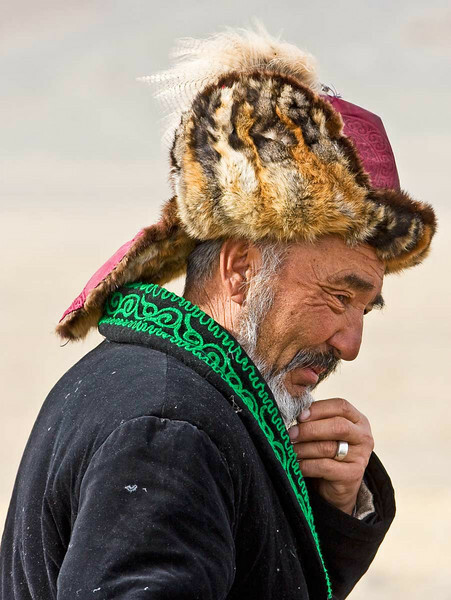 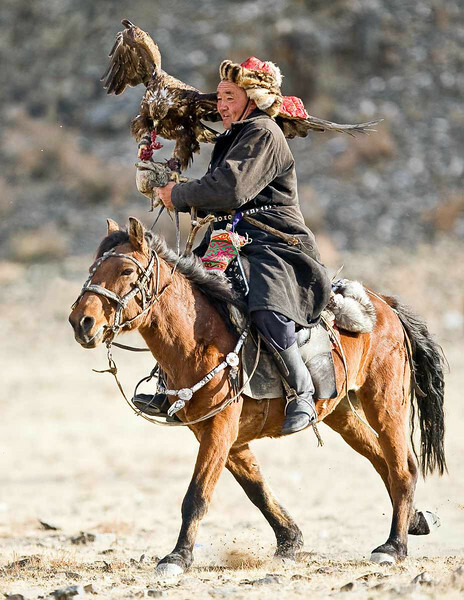 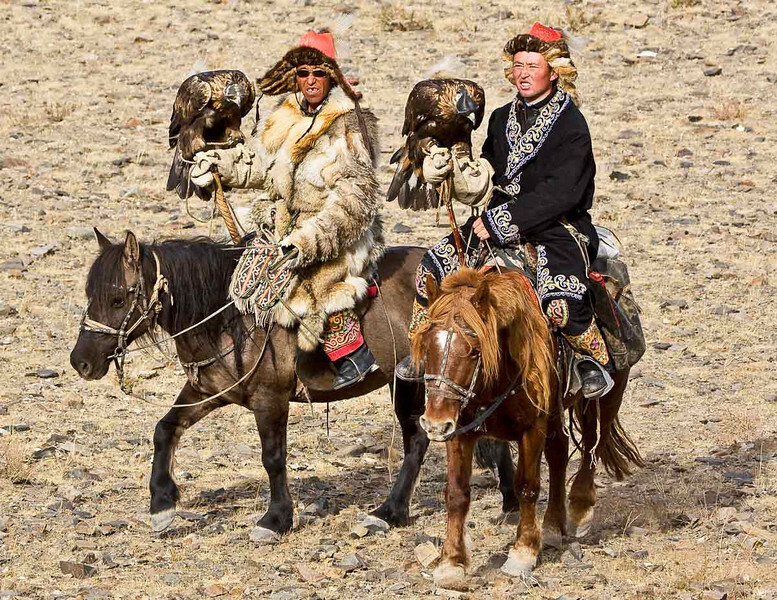 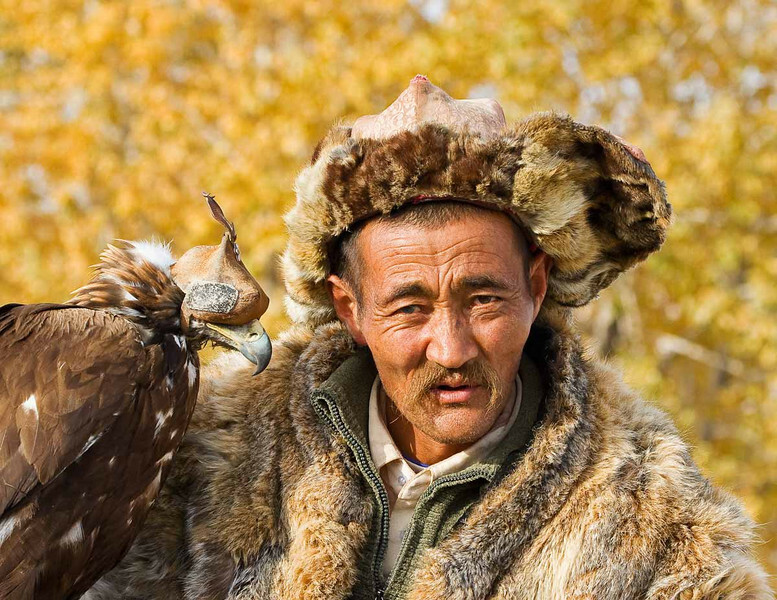 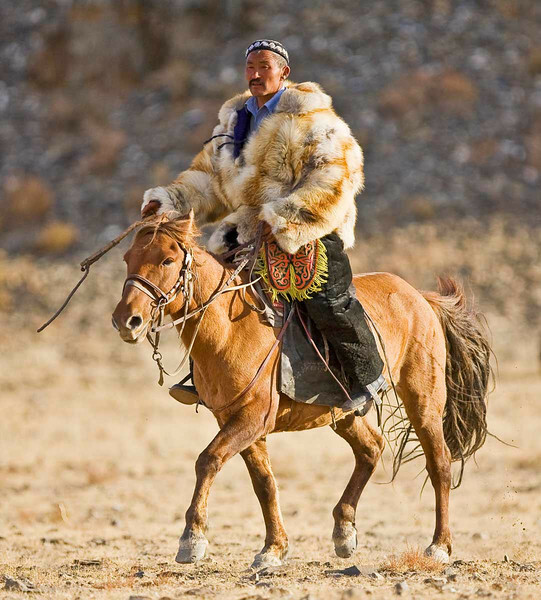 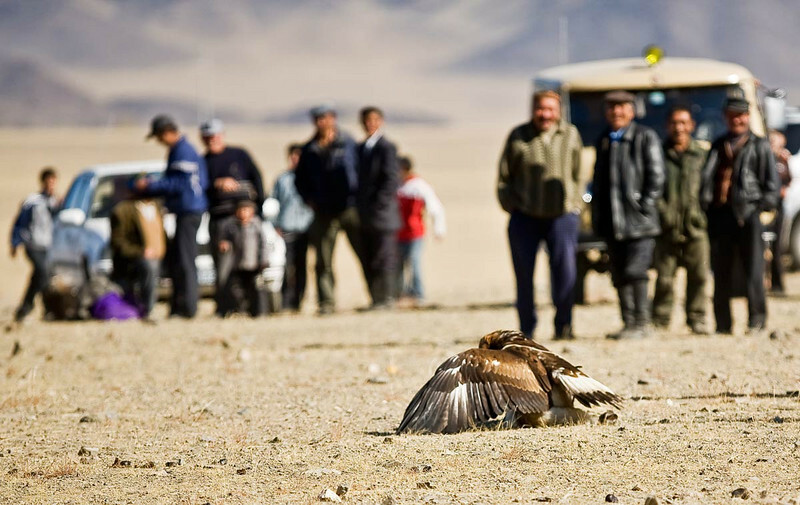 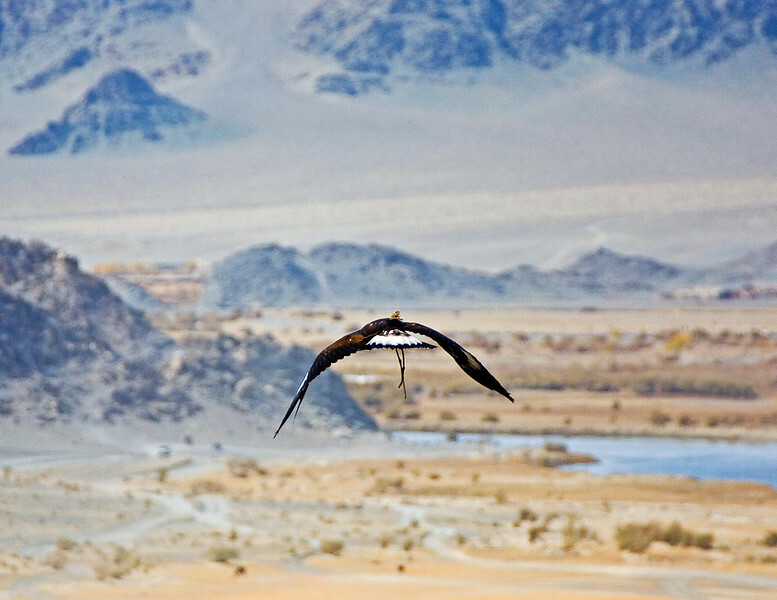 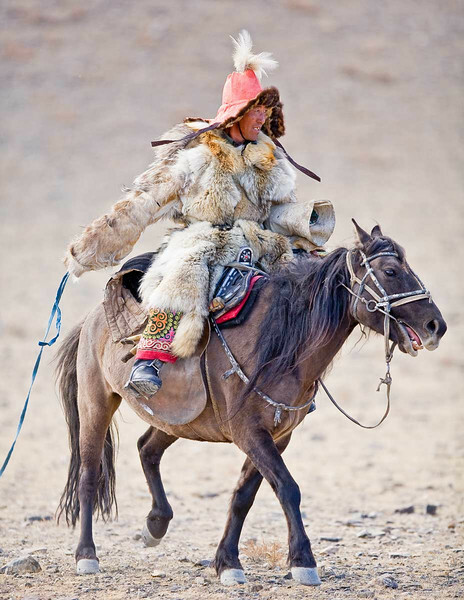 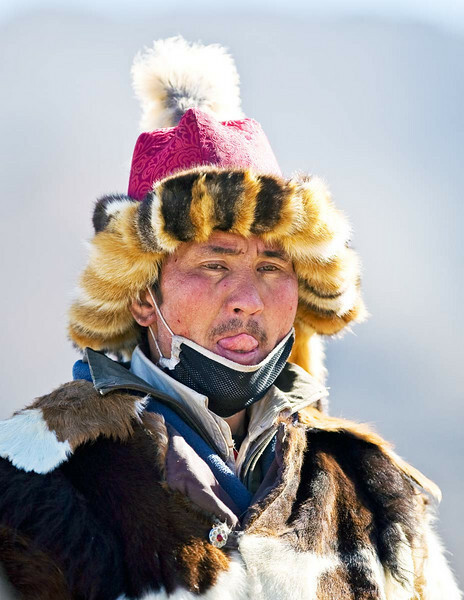 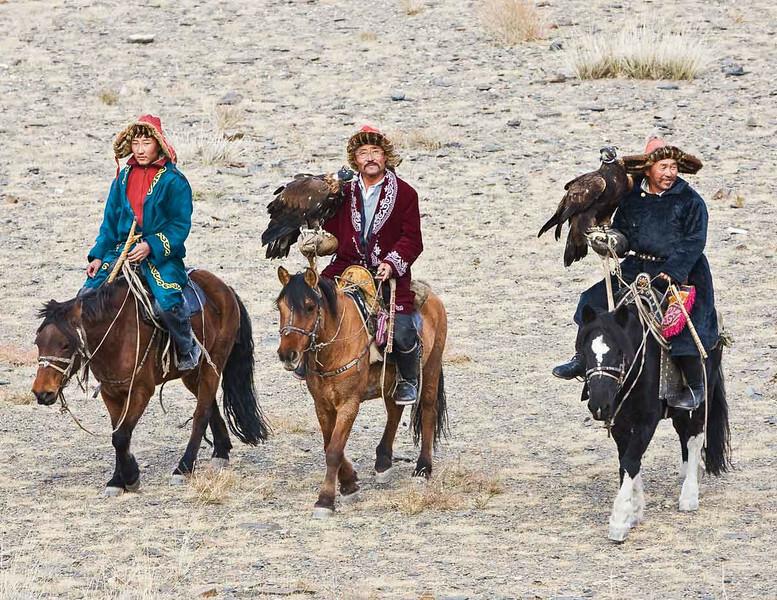 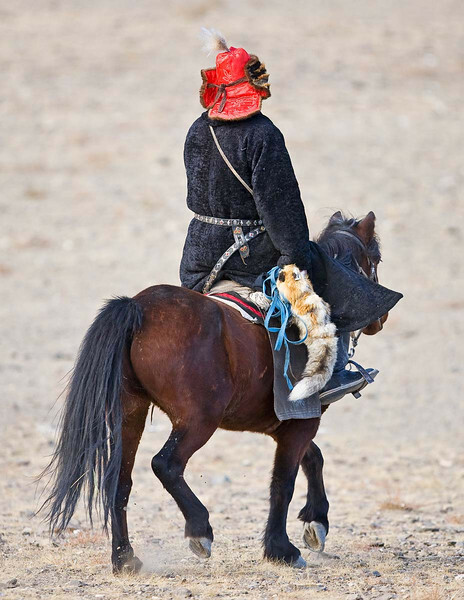 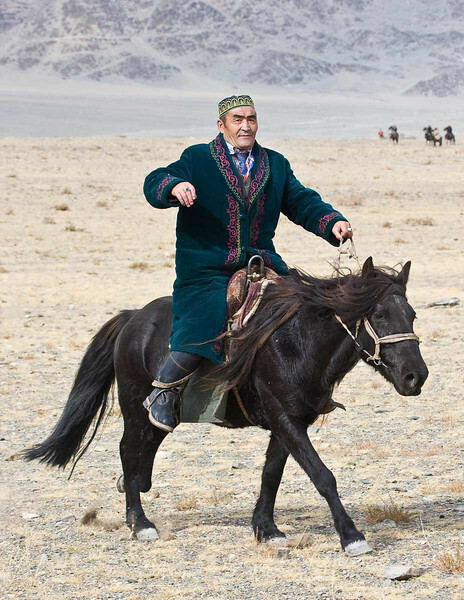 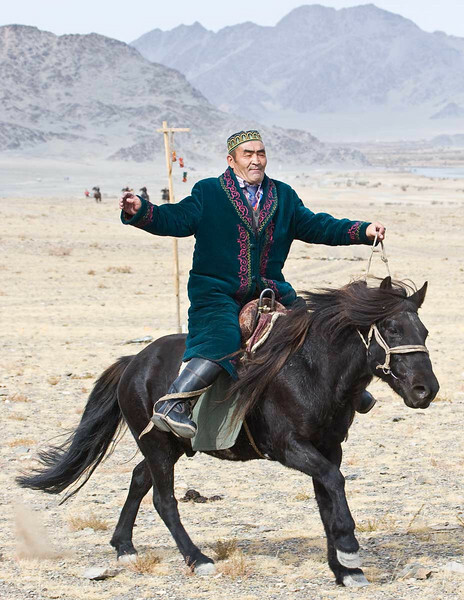 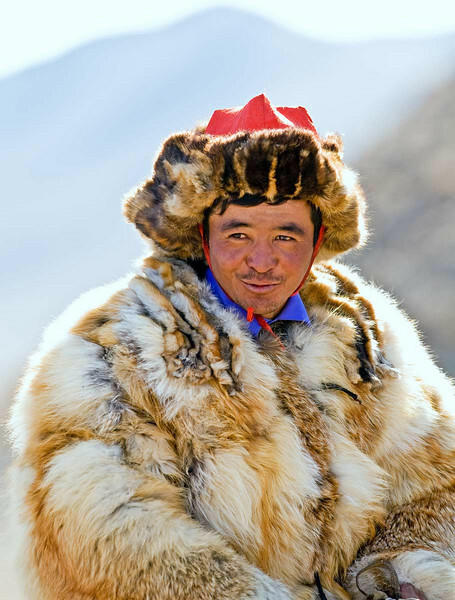 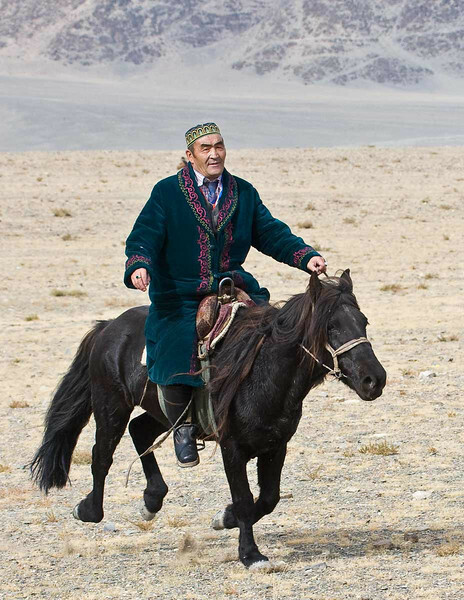 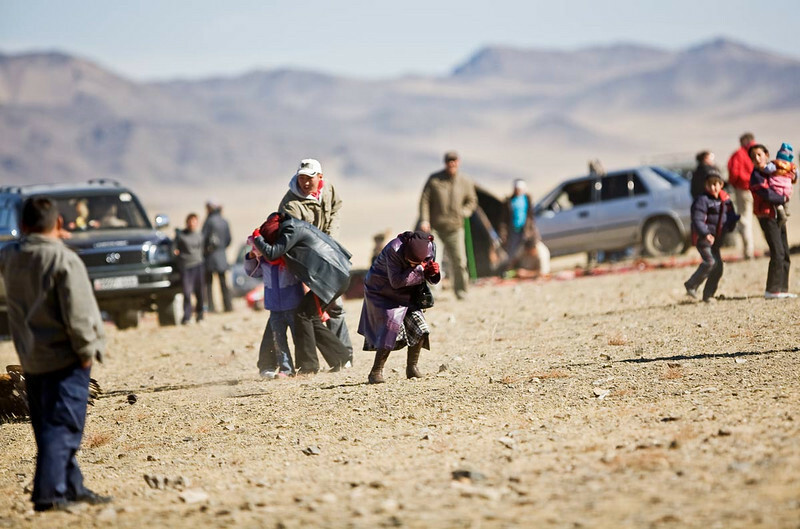 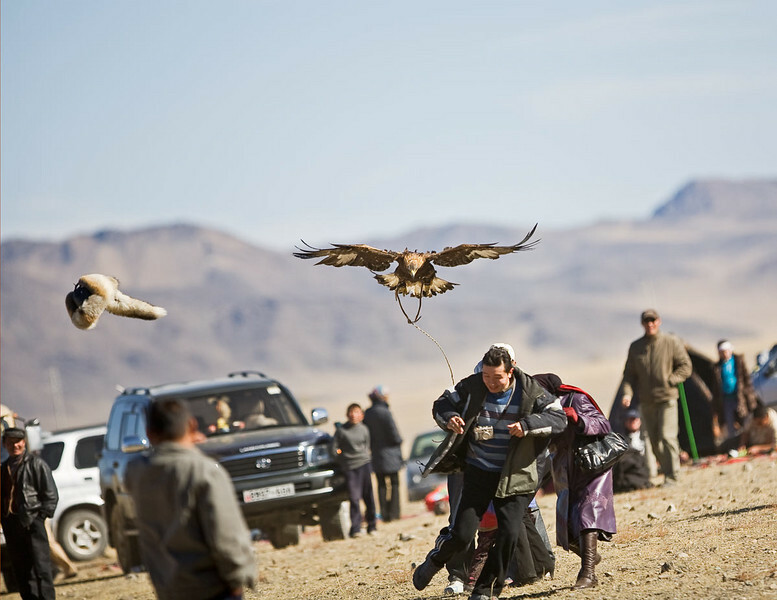 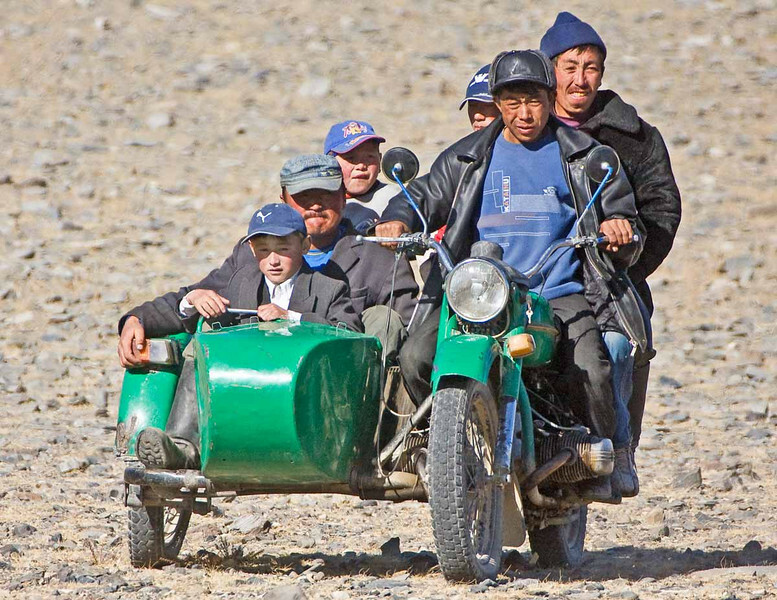 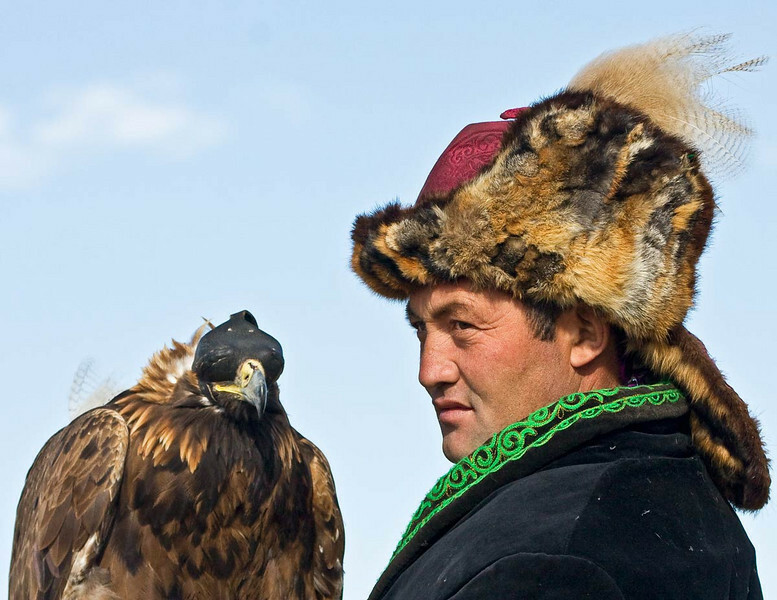 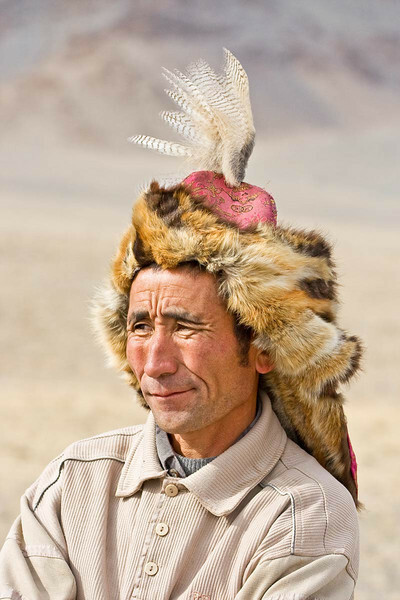 Travels in Mongolia to the Eagle Hunters Festival in Ulgii. 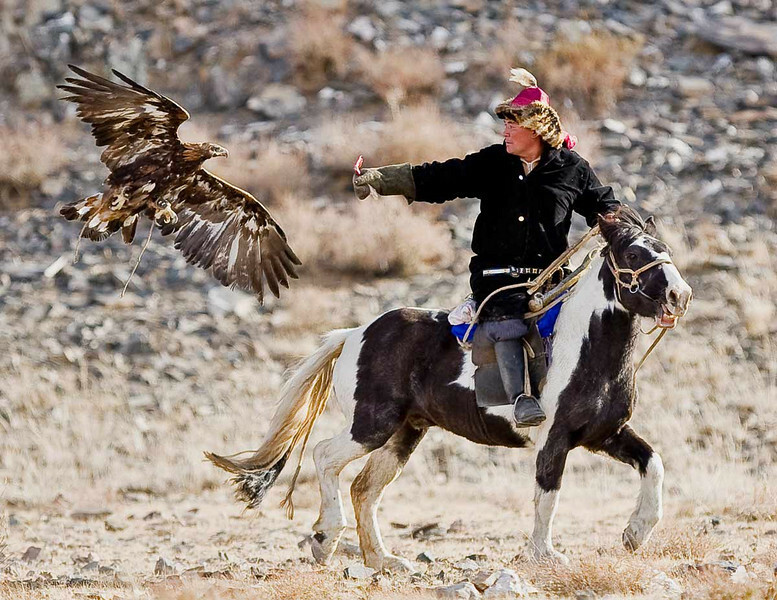 Girl being attacked by Golden Eagle. 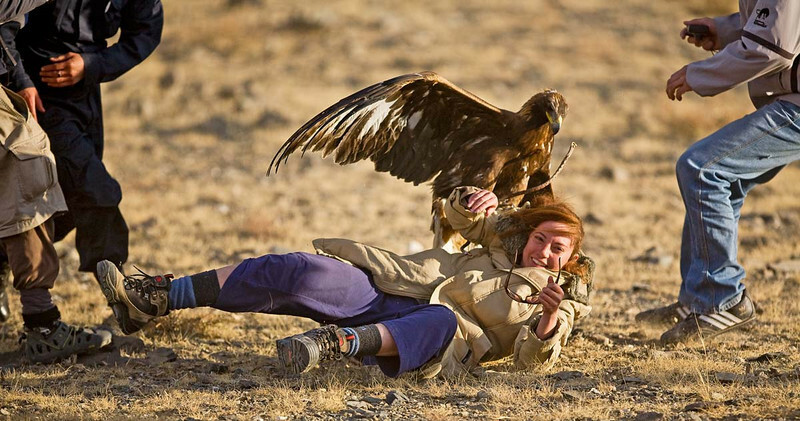 Girl beign attacked by Golden Eagle. 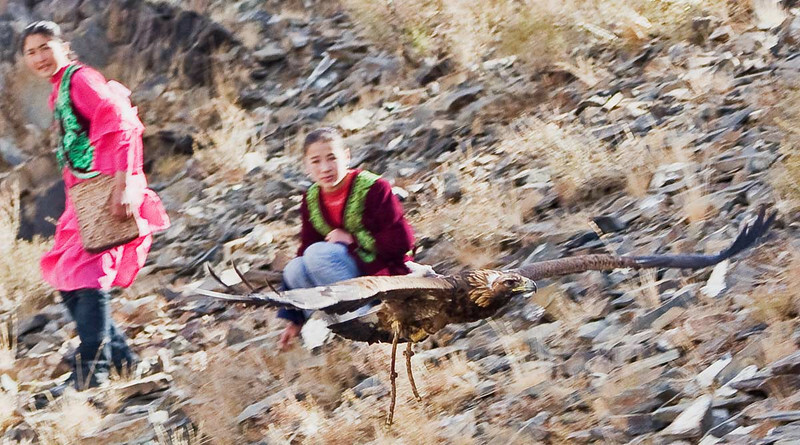 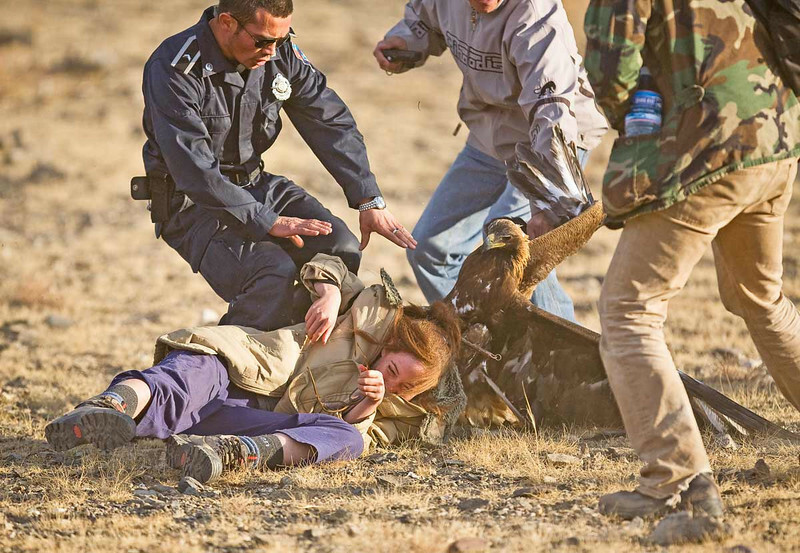 Girl being rescued from Golden Eagle's talons. 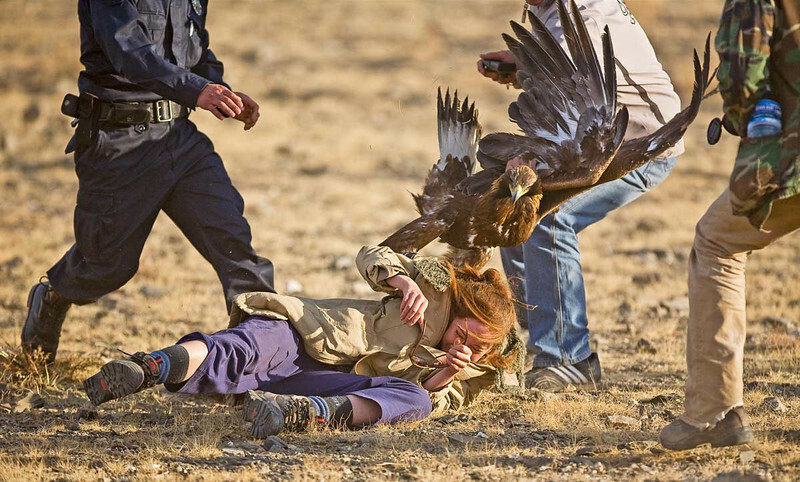 Another Golden Eagle attack...hat was thrown in the air to distract eagle from original target...a small girl. 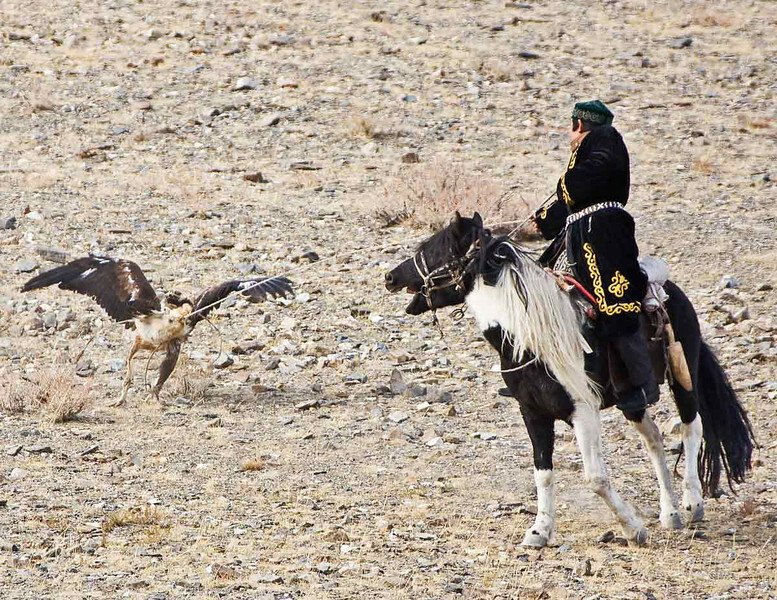 Eagle still in action and spectators flying away. 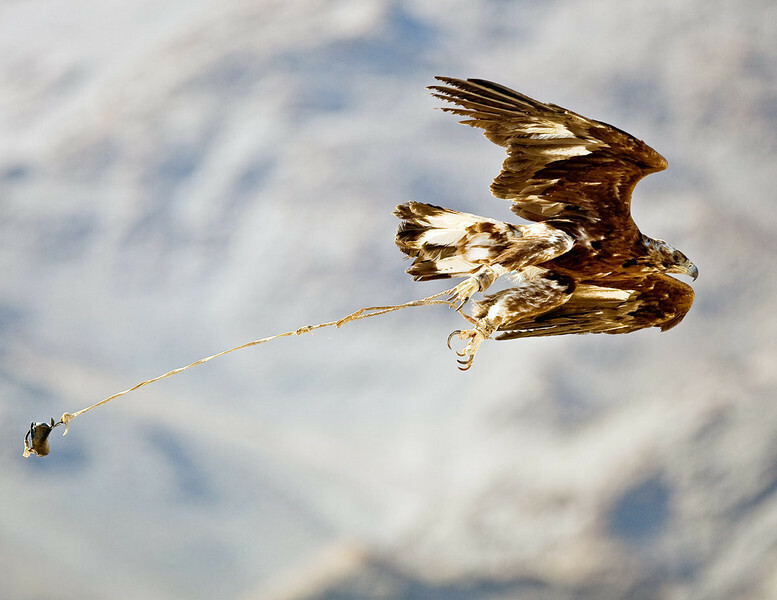 Eagle runs away with hat. 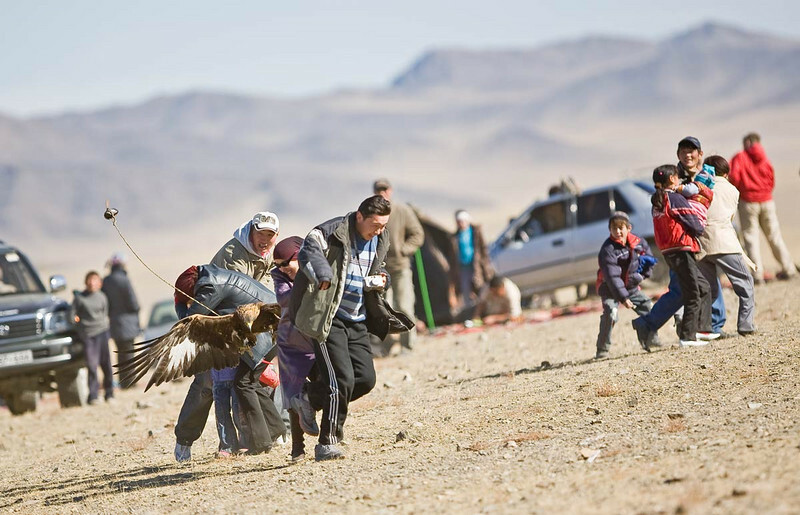 Another eagle shown been dragged by rabbit skin being pulled by a horse. 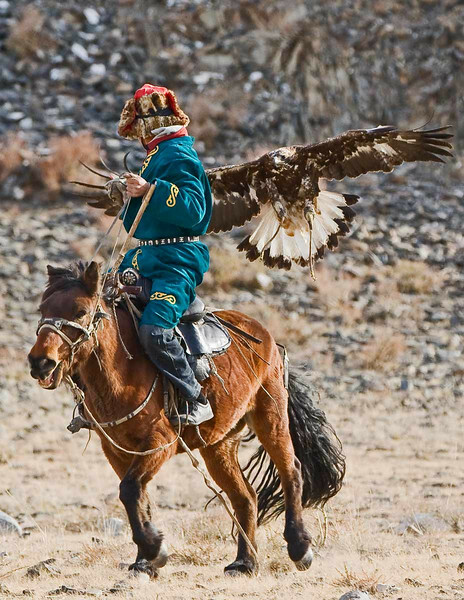 Fast flying eagle. 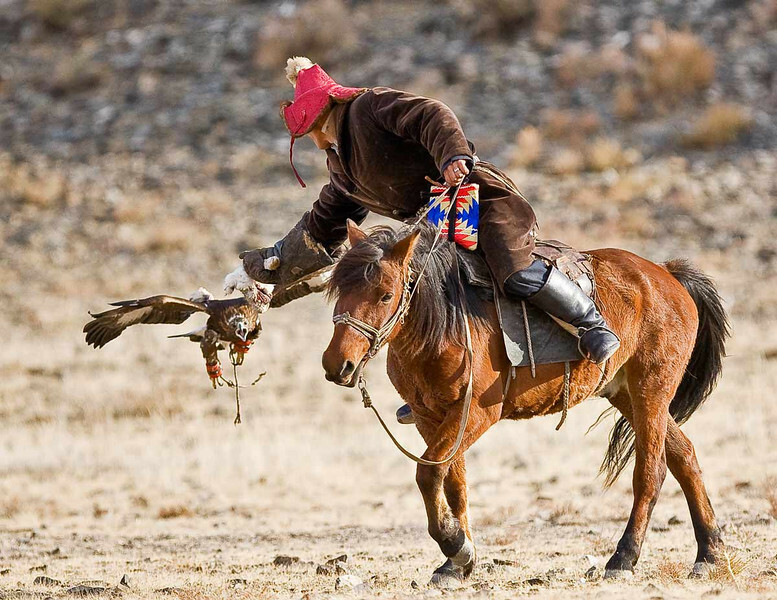 Notice head cap being dragged at end of string. 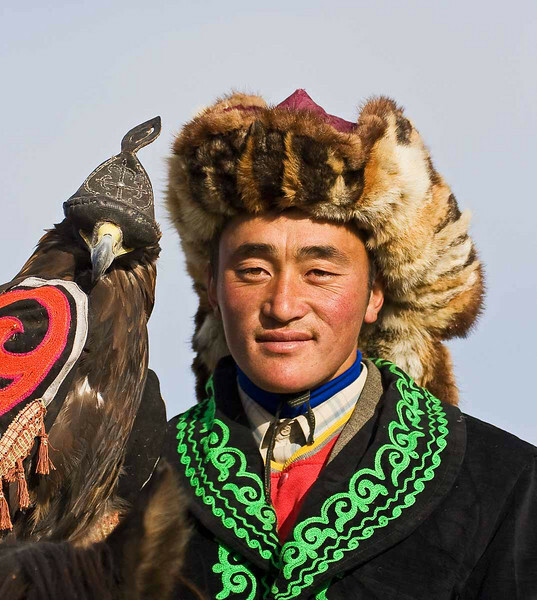 Once the eagle is recovered by the hunter the cap is pulled over the head. 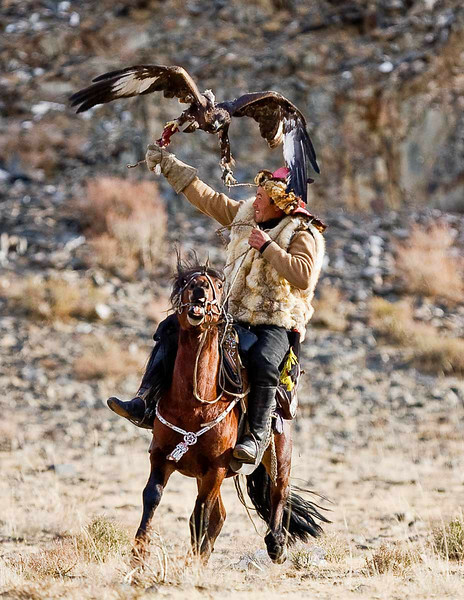 Eagle Hunters Competition Chairman or is it Horseman? 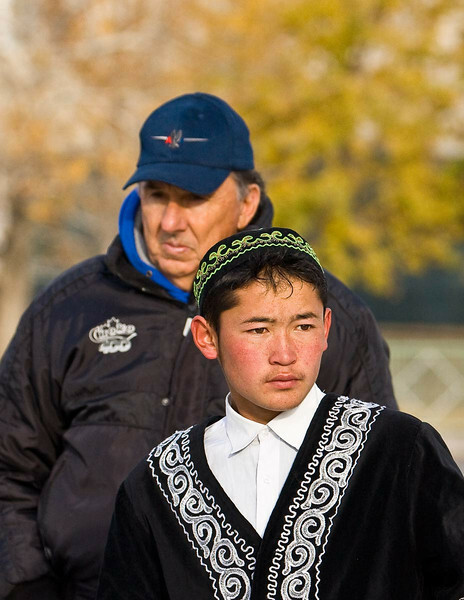 Local boy being followed by stranger. 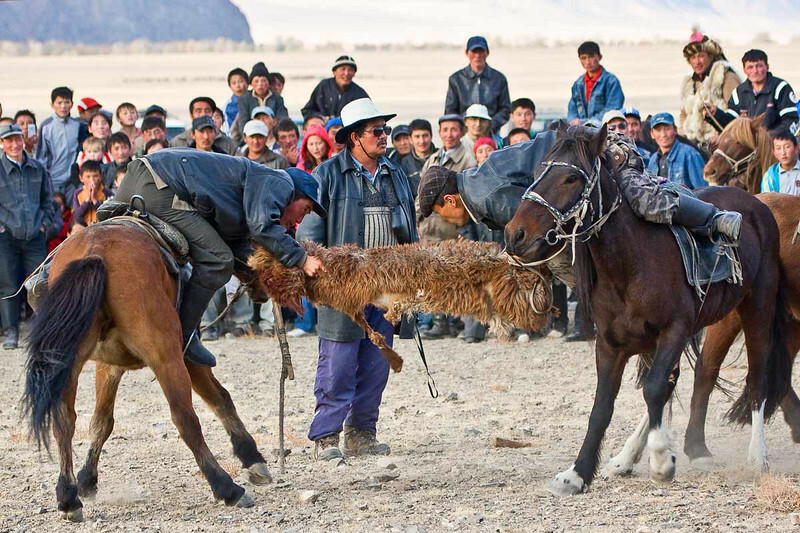 Tug of war using sheep's skin. 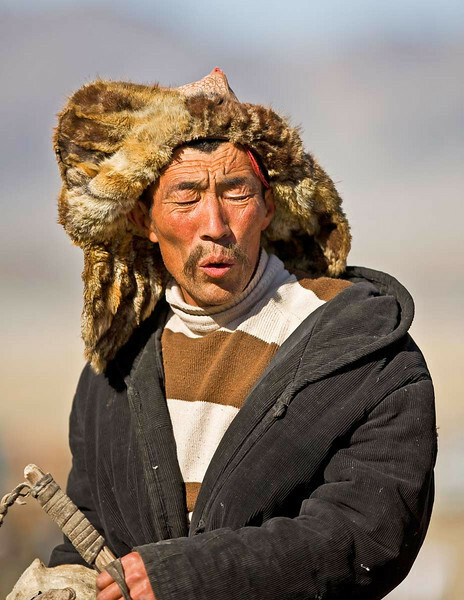 Very serious and violent game.